I thought the idea of LED is, that the light bulb has a very long life and uses very little electricity. I have not invested in full LED lighting but tried the LED bulbs, you screw in your normal sockets and I have to replace them pretty frequently. They also tend to lose a lot of their performance over time. The light gradually loses its brightness, which is maddening and forces you to replace the bulb, before its broken. The maddening part is, that it is never the same level of brightness, you are either on a continuous progress to less bright, or make a big jump in brightness when you replace the bulb. They cost a ton of money. I could live with that if they'd perform better. They never seem to achieve the warm light of a 100W old school bulb, even if you buy the expensive stuff. So, what am I doing wrong here? Do I have wrong expectations or am I buying the wrong equipment? Consumer tests have shown that there are good and bad LED lights; indeed some of them do not reach their advertized life span. I also have some bad experiences with LEDs dying long before their advertised end-of life, but that's anecdotes, not evidence. You can imagine that actually testing these is hard, it takes a long time! Our latest extra long life test shows that 75% of the LED lamps from a sample reach 20,000 burning hours. At the end of 2014, we reported that 80% of the lamps from that sample achieved 15,000 burning hours. So, 20% die before 15000 hours, 25% before 20000 hours. A detailed 2015 breakdown of brands and models is here. I would add: buy from regular well-known brands and avoid cheap non-name products. Our test shows that there is often some deterioration of the amount of light, but usually it remains limited. If a lamp emits 80% of the initial quantity after 15,000 hours, we consider it as: still working well. Preferably do not use a LED lamp in a closed luminaire. It won't be able to get rid of its warmth and will soon be broken. Because there can be a lower quality lights in a batch (for any brand), our advice remains: keep the proof of purchase and the box of LED lights. Whether that last thing helps you depends on the consumer laws in your country. ... these high-tech lights have very sensitive electronics in them that can be damaged permanently by a spike in electricity. Finally, LED lights often do not only show a guaranteed number of hours on the packaging, but also a number of on/off switches. Excessive (automatic?) switching may reduce their life time. bought from retailers where items are more likely to get banged around (ie grocery or big box stores) & thus damaged in hard-to-detect ways that may decrease lifespan. So, I second the first Answer about reliable manufacturers/brands & choosing better fixtures and hardware. But, I further suggest that where you buy the bulbs can be an important factor, too. And, that learning a bit more about light bulbs & lighting can help you get a better fit & longer life. We've gotten much better reliability by finding a specialty retailer because they do a great job helping you pick the right bulb AND in packing & shipping. 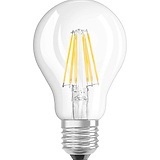 We currently buy from Bulbs.com but there are others as well. You mention the lack of "warmth" in your bulbs, which is a factor of light temp/color. Initially, we weren't always satisfied with light quality/color but since switching to a purchase source with lots of educational materials we've been able to get exactly the effects we want for each light. This may take some research and some trial & error but since you're not getting the result you want now a bit of investment is worth it, IMHO. I haven't had this problem either. I've never even heard of it. Of the lighting that I use regularly, almost all of it is CFL or (lately) LED. I have almost no incandescent bulbs left. I prefer the incandescent light in terms of colour, but not worth it to me for their greater power consumption. For warm light, find lights with lower Kelvin (K) numbers. 3000 K is pretty cold, white, blue light; 5000 K is very cold lighting, 2700 is warmer light (although I'd take these measurements with a bag of salt between manufactures, but they're better than nothing). My bigger issue is flicker of the LED bulbs. I'd definitely avoid no-name brand bulbs. I also write the date of installation on the bulb with a sharpie marker (obviously not on the part that's lit, or the part that conducts electricity). Use the warranties, that's why they're there. Addendum: The style of your pictured light is typically referred to as an "Edison light", in reference to its old-style characteristics (i.e. looks like an ancient incandescent light - apparently Edison originally used bamboo for filaments, according to the Edison museum down in Florida). Perhaps these style of lights don't last as long, or have more issues? I have similar Edison style "chandelier" lights in my bathroom (so higher than average moister) and outside (cold, winter weather). They've been there for around 18 months without issues. Both sets of bulbs are NOMA brand, but they're really just a re-packager. I like the Edison lights for their much warmer light and atmosphere, but they don't get bright enough (yet) for task or reading lighting for me. Not the answer you're looking for? Browse other questions tagged electricity light or ask your own question.